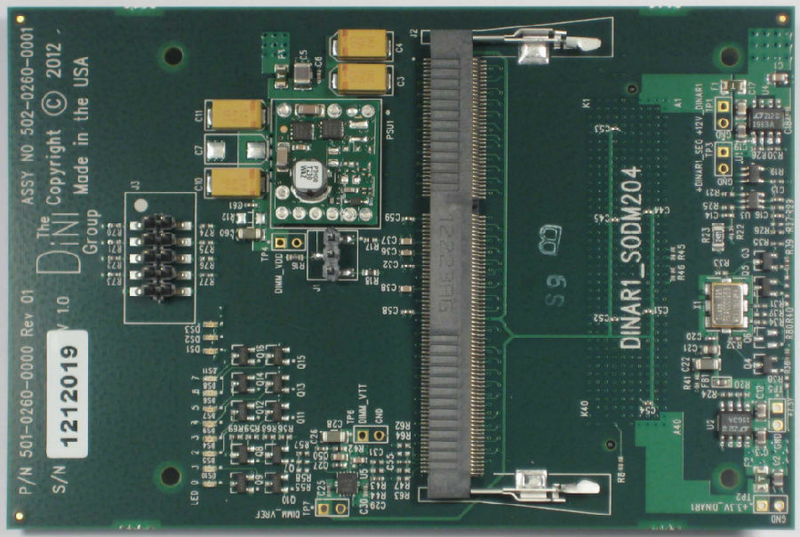 DINAR1_SODM204 is a daughter card that adds DDR3 memory to any DINAR1 expansion connector. 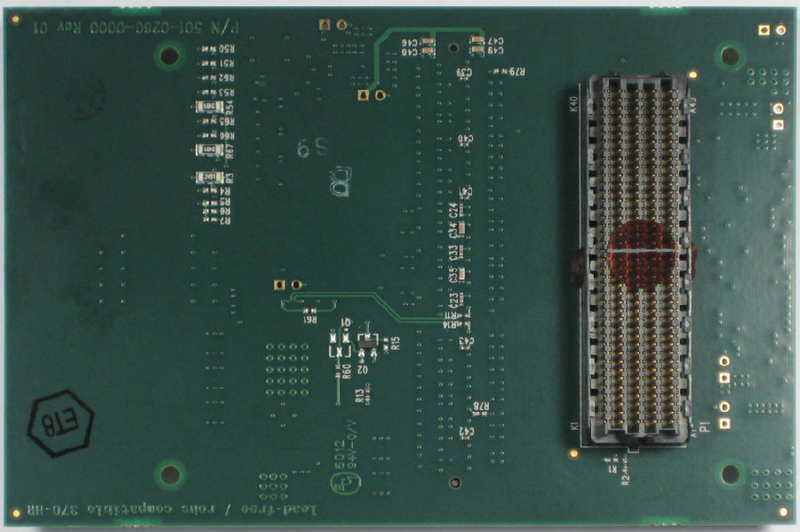 The card contains a 204-pin SODIMM, enabling the use of low-cost, off-the-shelf DDR3 modules. This daughter card along with any of our Virtex-7 based FPGA boards is characterized to run at TBD and possibly faster with faster speed grade V7 FPGAs. Consult the factory for the latest info. The expansion board is compatible with all DINAR1 connectors on the following Virtex-7 based products: DNV7F1A, DNV7F2A, DNV7F2B, DNV7F4A. Each DINAR1 expansion connector can support a single DINAR1_SODM204, so the DNV7F2A, for example, could support a total of 4 of these memory cards. DDR3 is the native memory for this expansion card and DINI Group has designed alternative 204-pin SODIMM cards that are compatible. A partial list in is the bullets above and this list includes SSRAM, QDRII+, USB2.0, mictors et. al.. Note that we are happy to design and manufacture custom cards if you have specific requirements not met by our off-the-shelf modules.